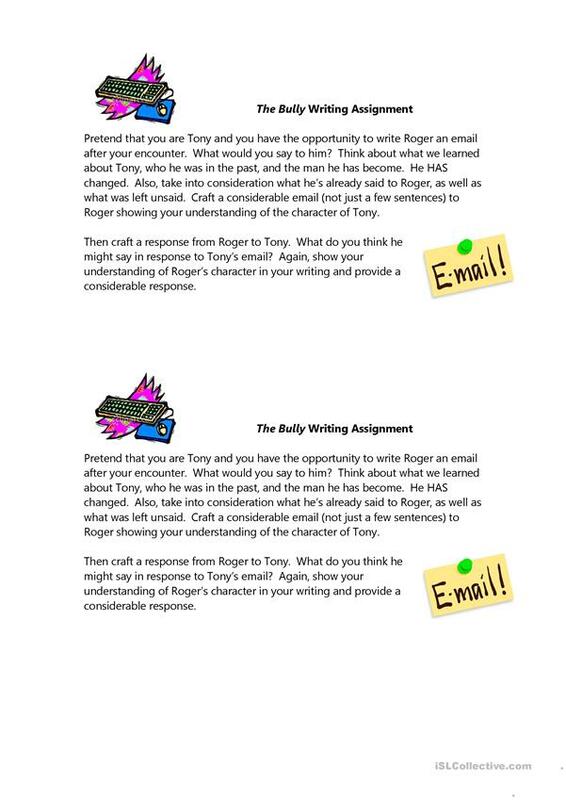 Students will craft a series of emails between Tony, the bully, and Roger, the victim, years after the incidents took place. This downloadable handout is meant for high school students at Intermediate (B1), Upper-intermediate (B2), Advanced (C1) and Proficient (C2) level. It is great for consolidating Clauses of purpose (e.g. in order to, so that, so as to) in English, and can be used for enhancing your pupils' Spelling, Reading and Writing skills. It is about the topic and words of Describing people. caulfieldc is from/lives in United States and has been a member of iSLCollective since 2012-09-25 13:44:57. caulfieldc last logged in on 2012-09-25 13:44:58, and has shared 1 resources on iSLCollective so far.